A couple of years ago, while in a frenzy to find a Christmas gift for my girlfriend (she eventually became my wife), I ran into Fresh and discovered their Fragrance Chronicles. It housed their collection of fragrances in Eau de Parfum strength and without hesitating I bought one. That turned out to be an excellent purchase as my wife is still using it to this day. Unfortunately Fresh discontinued it but one of my favorite fragrance brands, Ineke, is launching something similar and you should take notice. Floral Curiosities is a limited edition collection of five fragrances that explores rare botanicals Ineke Ruhland grows in her very own garden in San Francisco. This Scent Library collection is packaged a faux book and in true Ineke fashion, is beautifully designed and thoughtfully merchandised. 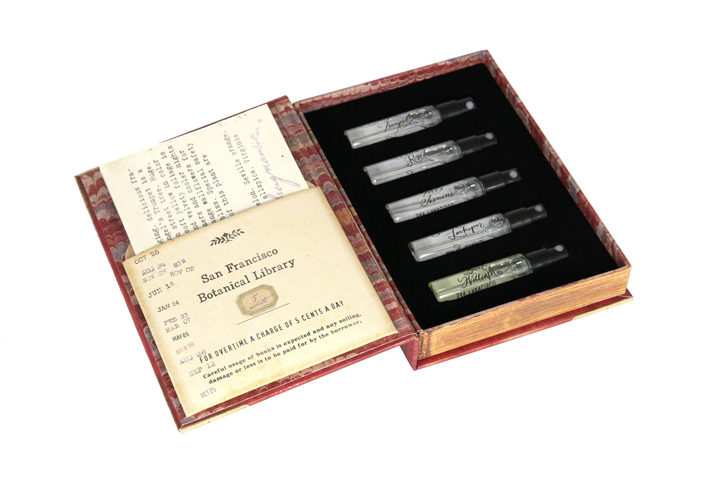 Library cards are attributed to each scent and they provide an explanation about its contents, while fine art and calligraphy continue the old library book theme. 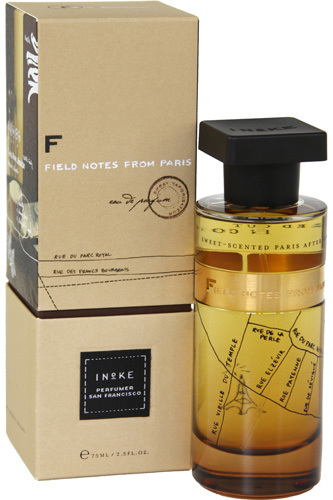 Field Notes From Paris continues to be my favorite scent from this brand but Ineke continues to impress and Floral Curiosities is no different. When the collection was available at Anthropologie, I introduced a friend to the brand when he was looking for a gift for his girlfriend (she eventually became his wife) and he ended up succumbing to the power of her juice. Gents, we have a tendency to wait until the last minute to buy gifts for any occasion. 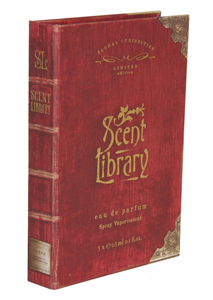 Ineke’s Scent Library houses five, 2.5 ml Eau de Parfum scents and is only $22. It’s an unbelievable value and a thoughtful gift. Get it while you can.